About 40,000 pets die each year in home fires. National Pet Fire Safety Day is the perfect time to put a disaster plan in place if you don’t have one already. 1. Install smoke detectors on every level of your home and near each bedroom. Test them once a month and replace the batteries every year. 2. Place fire extinguishers upstairs and near the kitchen, garage, laundry room, and fireplace. 3. Keep matches and lighters out of children’s reach. 4. Replace frayed, cracked, or broken electrical cords. 5. Do not overload outlets. Use ground-fault circuit interrupters in outlets near sink areas and outdoors. 6. Keep space heaters at least three feet away from anything that can burn. Use caution with heat lamps and heating pads. 7. Never leave portable electrical heaters unattended, and make sure they have an automatic shut-off device if the unit is accidentally overturned. 8. Have a fire escape plan. 9. Agree on a designated place to meet outside the home. 10. Have a pet evacuation kit outside the home. 11. Practice fire drills, including escape routes, every six months. 12. Make sure all appliances, like dryers or vacuums, are UL approved and grounded. Those with broken, frayed cords or bent plugs should not be used until properly repaired. Wrapping frayed cords with electrical tape is not a safe repair method. 13. Use candles with care. If you have an exuberant dog that might knock them over, don’t use them. 14. Paint kennel surfaces with two coats of flame-retardant latex paint. 15. Consider installing a residential sprinkler system. 16. Cover outlets and switches, particularly in dog living areas, to prevent dust and water from reaching them. 17. Keep dogs away from the control knobs on stoves. Inquisitive or hungry canines have been known to jump up on appliances and accidentally turn them on. 18. Pet-proof your home, paying special attention to areas where a dog might accidentally start a fire. 19. Use a pet-alert window cling or decal to tell firefighters there are animals in the house. Ensure that it’s always updated. Looking for more canine tips? 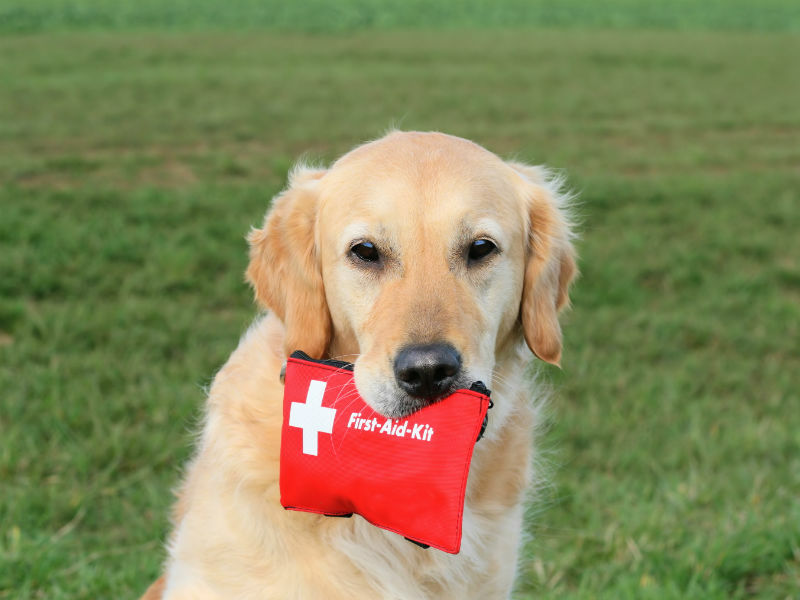 Here are some ways to keep your dog healthy in the summer, as well as information on first-aid kit essentials.